The MDC-PYD is a modified version of our low-profile island. Its design lines are angled, giving the ends a pyramid appearance that makes a strong visual impact. The low profile of the MDC-PYD provides an unobstructed view, but still allows an unbelievable packout volume. 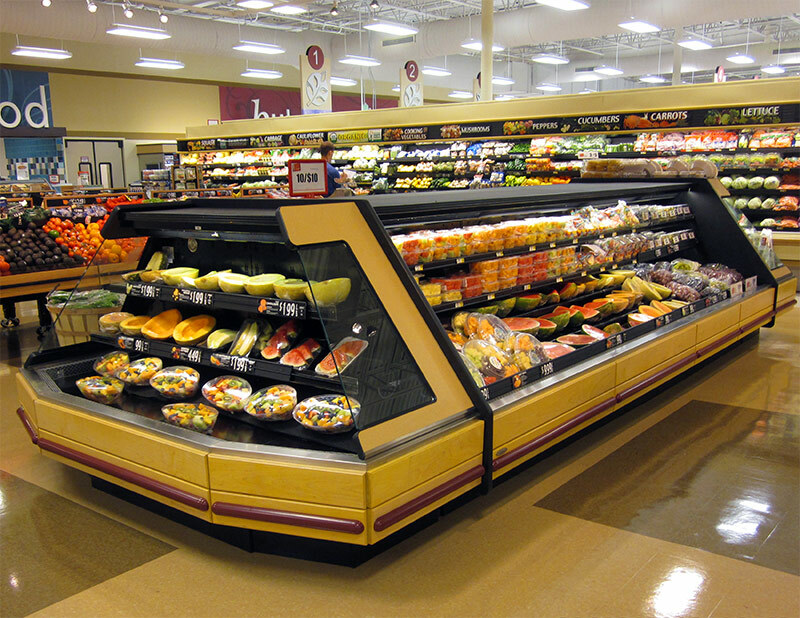 The MDC-PYD is available in various lengths and endless finishes, allowing it to naturally blend into any store design or layout. 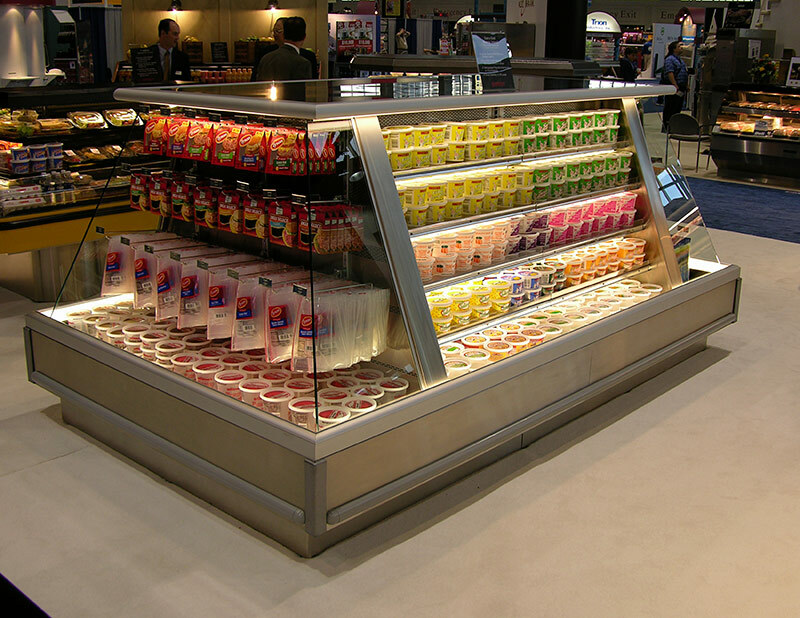 The MDC-PYD is suitable for deli, dairy, cheese, produce, prepared foods, and grab-n-go applications.